Click on an event in the calendar to see the details on the event. Note that most of our Monthly Meetings are recorded. Links to the recordings hosted by SudburyTV can be found on the Past Event Videos page. Melting snow and warming temperatures means that a variety of summer residents will be reappearing from their southern wintering grounds. See which animals you should keep an eye out for, including newly-born wildlife! 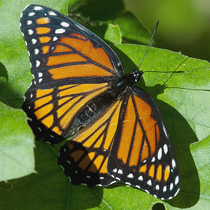 Journey into the Monarch butterfly’s fascinating world, visiting the spectacular locations the Monarch calls home and fly with it on one of the most inspiring migratory odysseys imaginable. NOTE: Movie will not be shown until 2pm on April 6th & 13th; will not be shown at all on April 27th; will only be shown 10am-1pm on April 28th. The early plants are starting to bud out so time to start working on invasive plants at Assabet River NWR. First APT work session will be held on Saturday, April 6, starting at 9 AM and working until noon. Meet at the Visitor Center parking lot at 9 AM. Please wear long pants and bring insect repellant, sunscreen and water. Gloves and eye protection will be provided. Sessions are open to drop-ins. At your first work session a Volunteer Service Agreement will need to be filled out; if the volunteer is a minor the Volunteer Service Agreement will need to be signed by a parent or legal guardian. Contact Dave Lange delange005@earthlink.net for more information. Youth ages 12-17 will have the opportunity to practice all aspects of a safe hunt, including calling, proper set-up, identifying the target and what’s beyond, turkey biology, and turkey hunting regulations. After seminar completion, USFWS staff and volunteers will offer a mentored hunt at Assabet River NWR and Oxbow NWR on April 27th. Pre-registration is required at: www.mass.gov/guides/youth-turkey-hunt-program. Youth that have successfully completed MassWildlife’s Youth Turkey hunt seminar are permitted to hunt on the Refuge on this day. Please join us for a lecture, reading, and provocation by Thoreau scholar, writer, and geologist Robert M. Thorson to highlight the 2019 Annual Meeting of the Friends of the Assabet River Wildlife Refuge. FARNWR is delighted to welcome back Dr. Robert Thorson, who has previously presented for us on Stone Walls and on Henry David Thoreau. His presentations are always very popular, so we recommend arriving early to claim your seat. Our annual meeting will include election of board members and an overview of our organization finances and accomplishments in 2018. This will precede Dr. Thorson's presentation. 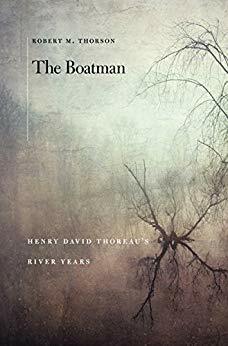 Dr. Thorson’s recent book The Boatman: Henry David Thoreau’s River Years (Harvard, 2017) is being reissued as an updated softcover edition in April 2019. Drawing from this work, he will focus on the lower Assabet River, Henry’s favorite reach for paddling and swimming, owing to its clear vigorous flows and relatively “wild” scenery. Thoreau’s extensive observations from July 1859 reveal how human alterations invigorated the river by creating its high banks, sweeping meanders, and differentiated reaches of deep scour pools and broad sand bars. A favorite picnic site known as the Leaning Hemlocks was also an indirect consequence of human activity. Dr. Thorson’s presentation will include an illustrated reading from Thoreau’s journal that spans eight river moods for each river year, ranging from the dramatic violence of spring breakup to the stagnant seepage of late summer drought. Copies of Dr. Thorson's books will be available for signing and inscription as a fundraiser for FARNWR. Our monthly presentations are usually held the last Sunday of the month at 2:00 PM or the 4th Wednesday of every month at 7:00 PM at the Visitor Center at the Assabet River NWR. Please join Sustainable Sudbury at the Visitor Center at 7PM on Wednesday May 1st for a viewing of the documentary Racing Extinction. In Racing Extinction, a team of artists and activists exposes the hidden world of extinction with never-before-seen images that will change the way we see the planet. Two worlds drive extinction across the globe, potentially resulting in the loss of half of all species. The international wildlife trade creates bogus markets at the expense of creatures that have survived on this planet for millions of years. And the other surrounds us, hiding in plain sight — a world that the oil and gas companies don’t want the rest of us to see. Using covert tactics and state-of-the-art technology, the Racing Extinction team exposes these two worlds in an inspiring affirmation to preserve life as we know it. From the Academy Award® Winning Filmmakers of The Cove. Join Nick for a morning bird walk along the meadows and marches in search of Rusty Blackbirds, Winter Wren, Swallows, and early wood warblers. Meet at the White Pond Road entrance in Stow at 7:00 AM. Join Cynthia to walk a 5 mile loop following the central trails of the refuge. Meet in front of the Visitor Center at 9:00 AM. Rain cancels. Calling all explorers: come join us for a monthly adventure! See nature come alive as we discover our surroundings and learn about the refuge from the pages of books to the forests and wetlands. Refuge Explorers is a hands-on program for 6-10 year olds focused on getting kids outside and engaged in nature. Dress for the weather (rain or shine) and an adventure! Family friendly, siblings welcome. Programs are by appointment, please contact Ranger Jared (jared_green@fws.gov or 978-579-4028) to book your group’s Refuge Explorers program or for more information. The Friends posts our events to Outdoors This Week, a weekly listing of outdoor activities located west of Boston sponsored by local environmental organizations. Click here to subscribe.